Recently I've been playing with jquery and python. 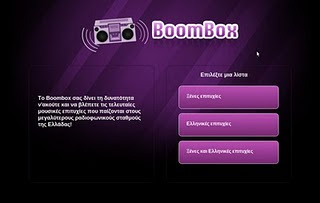 Panos and I have created Boombox, a site providing Greek music and in general music that's popular in Greece. Check it out!